LODI (KTXL) -- A skydiver was killed in an accident near the Lodi Parachute Center in Lodi, California, on Wednesday. "I'm kind of at a loss of words really," said Stanton Lange. Lange is the manager of the vineyard, just north of the Lodi Airport, where San Joaquin County sheriff's deputies say a skydiver fell to his death. Lange found out about the accident when a deputy called him. "He says he needs to have access to the field, so I came by and said I'd be right out," Lange said. According to the FAA, the skydiver was using a wingsuit, but was still carrying a parachute. He was killed on landing. FOX40 stopped by and knocked at the Lodi Parachute Center, where the jumper took off, to speak to owner Bill Dause. No one answered the door. 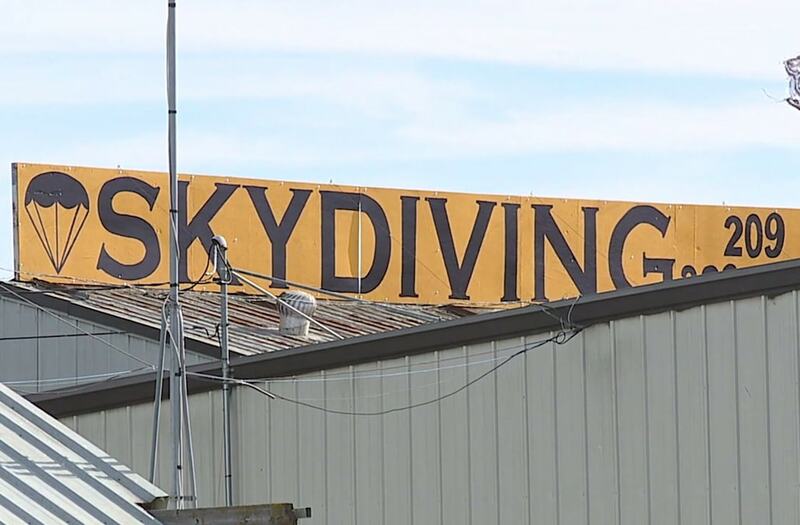 Dause later said over the phone that the skydiver was an experienced jumper who did not work as an instructor at the Parachute Center. Dause said the jumper packed his own parachute, which he believes, after talking to witnesses, malfunctioned. Unfortunately, skydiver deaths happen often in Lodi. This is the fourth death at the Lodi Parachute Center in the past two years. "Well I'm surprised that there hasn't been more done," Lange said. Skydiving is a self-regulated sport, which means the skydiving community sets its own safety standards under the leadership of the nonprofit United States Parachute Association. Currently, the Lodi Parachute Center does not have USPA membership certification. However, there is no law that requires drop zones to be USPA certified. "They're taking jumpers out almost every day of the week," Lange said.